Lobi Stars forward, Tony Okpotu, has banished his goal scoring drought for the first time this term. The highly rated Okpotu, who was yet to score in over a month, hit the equaliser for his side and the goal earned Lobi a point during their trip to Remo Stars. It was a typical fox-in-the-box move as he pounced on a rebound off a save by Remo goalkeeper, Chizoba Ndukwe. “I am happy to score today and pleased to help my team earn a point. 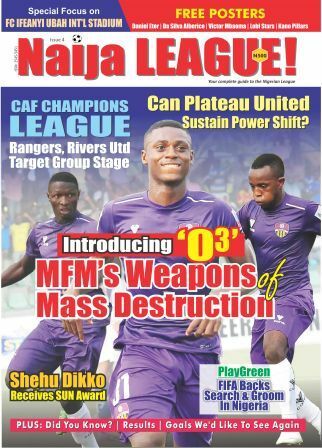 This will open my account this season”, he said to naijaleague.com.ng. In scoring at Remo Stars, Okpotu hit his team’s seventh goal this term. 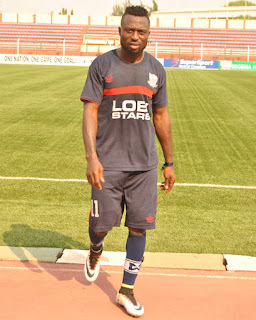 Since returning to the club from Libya’s Al-Ittihad in 2014, Okpotu has finished as top scorer for Lobi Stars in the past two seasons to maintain his status as all-time leading scorer since 2012.